Little Elliot plush now available! The wait is over! 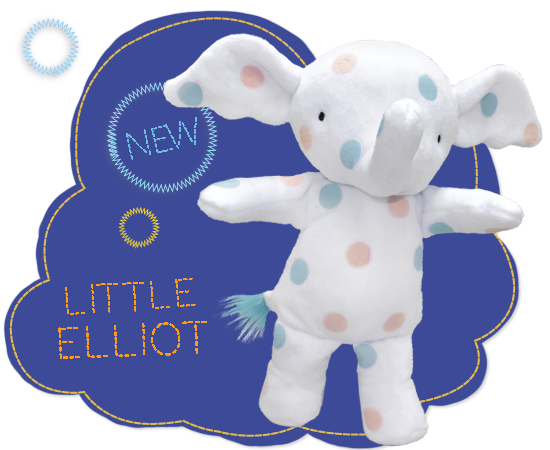 You can now have your very own Little Elliot plush to cuddle and hug and read with! Many thanks to my friends at MerryMakers for bringing him to life! 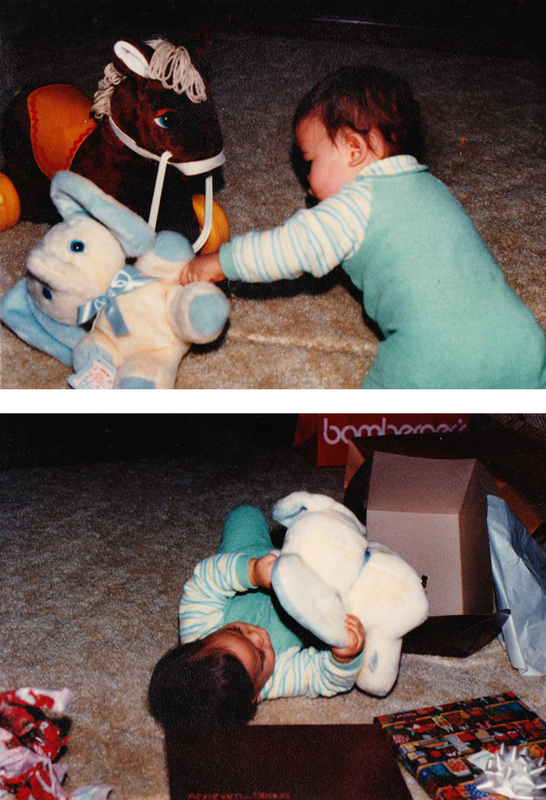 My grandmother gave me an elephant for my first Christmas. He had a wind-up lullaby that would play “It’s a Small World.” For many years, I would wind it up and let it play the sweet song when I was going to sleep. We had many adventures together, and I am so excited to think about all the adventures Little Elliot will have with his new friends. 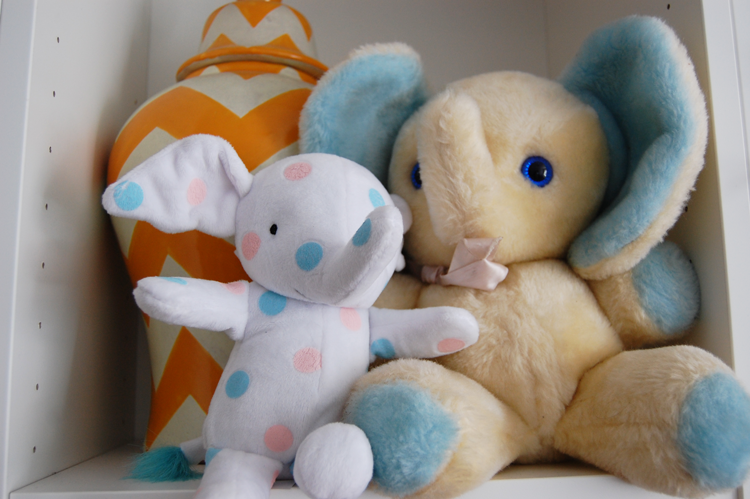 My little white and blue friend would later serve as one of the inspirations for Little Elliot. Unfortunately, I haven’t been able to find my old elephant friend for many years (he is rumored to be living in my parents’ attic). I found this cousin of his online. He and Elliot have become fast friends. They have a lot to say to each other–they’re all ears!! 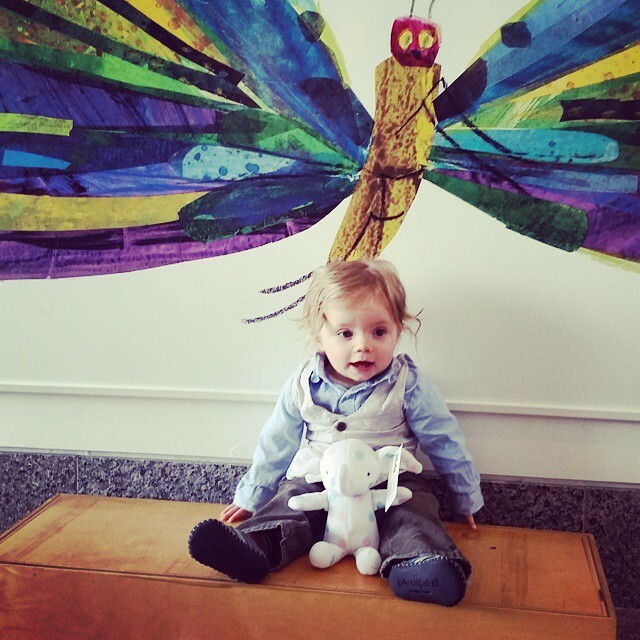 Little Elliot has been kid-tested, author-illustrator approved! He’ll make a great friend for kids of any age. Trust me, I did not give final sign-off until he met all of my huggability requirements. You can order your Little Elliot online, or ask your bookstore if they carry him (and if they don’t, they will likely order him for you). 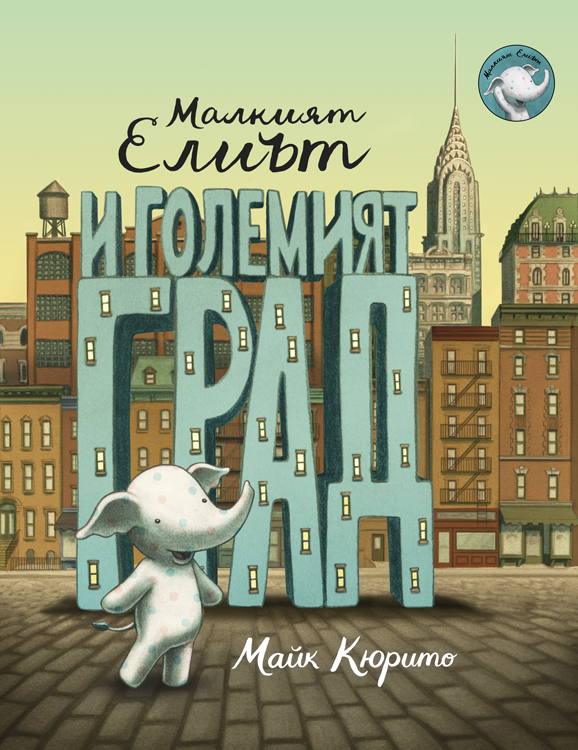 Foreign Editions: Spanish, Catalan, & Bulgarian! ¡Buenas noticias! 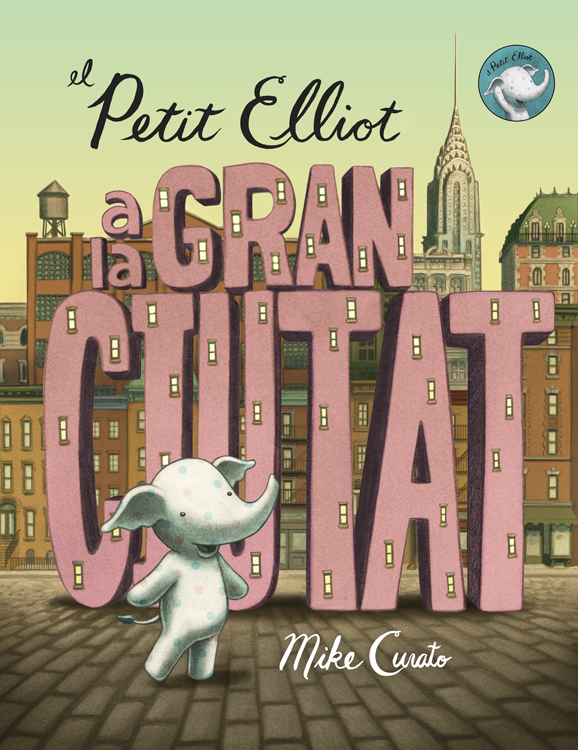 This week three of the first foreign editions of Little Elliot, Big City release! Today, March 16, is publication day for Spanish and Catalan versions with Ediciones B, and Wednesday, March 18, the Bulgarian version comes out with Prozerets. Check with the publishers to see where you can get a copy.